THE life of Cyril Ramaphosa, just like that of any adult who has been around for several decades, can be divided into several phases. However, for the sake of this discussion I shall focus on the five that mark his life in the public glare. The fifth of these has just begun. It will most probably be the one that will seal his fate and the one many will remember him by for decades to come. He first entered public life as a student activist during apartheid before playing a leading role in the formation of the National Union of Mineworkers in 1982. He subsequently became known as a formidable fighter for the rights of mine workers primarily, and those of ordinary workers and black South Africans in general. It was in that capacity that he came face to face with some of the giants in South African mining and big business on several occasions, including Harry Oppenheimer, head of a mining dynasty without whose mention no history of South Africa would be complete. The two of them met for the first time in 1986 on the occasion of the first anniversary celebration of The Weekly Mail newspaper, today’s Mail & Guardian. It was also at the height of fierce mine worker strikes to demand better wages and living conditions. He almost seamlessly morphed into Ramaphosa II in the early 1990s, first when he appeared next to the newly-released Nelson Mandela as Mandela left the warder’s house he had occupied on the grounds of the Victor Verster Prison (now Drakenstein Correctional Centre) since 1988, then when Mandela first addressed crowds gathered on the Grande Parade in Cape Town. Ramaphosa II served in both the national and international Nelson Mandela Reception Committees that had been established to ease him into civilian life in South Africa, and when he would travel to meet world leaders and other supporters of the broader anti-apartheid project around the world. The large house that served as Mandela’s home in the last three years of his incarceration came with a big garden and swimming pool. It had been allocated to him on the instruction of the penultimate apartheid president, PW Botha, under whose watch negotiations with the still incarcerated Nelson Mandela had begun. FW de Klerk simply finished the job, following the removal of Botha from office, and took the process to its intended end by releasing Mandela and unbanning the ANC and other anti-apartheid movements. De Klerk also took all the credit for the work started by his predecessor. It had been intended that the warder’s house would provide Mandela with the privacy he needed when he met with dedicated government negotiators and received members of his family and other important guests, some of whom were envoys of the still banned ANC. It was also meant to serve as a transitional space from the life of a political prisoner to one that Mandela was being prepared for, that of an important player in post-apartheid South Africa, most possibly even the first black president. The role of Ramaphosa II during that sensitive period that was also fertile with possibilities can never be underestimated. 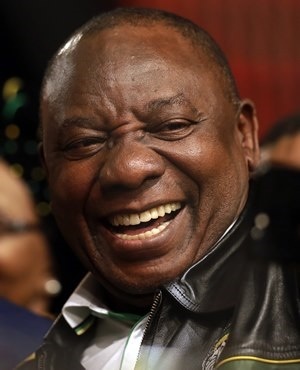 Following the release of Mandela and the unbanning of the anti-apartheid political movements, Ramaphosa II came into full gear when he was appointed the lead, on the ANC side, during the multiparty negotiations. The National Party team was led by Roelf Meyer, with whom Ramaphosa II came to form a formidable working team that guided – not without several inevitable hiccups of course – the broader negotiation process. He later led the constitutional assembly as chairperson, working with the National Party’s Leon Wessels as deputy chairperson. This process culminated in the new Constitution of the Republic of South Africa, promulgated by president Nelson Mandela in December 1996 before it came into effect in February 1997, effectively replacing the Interim Constitution of 1993. When he failed to succeed Nelson Mandela as ANC president in 1997, a position that would have propelled him to the presidency in 1999, Ramaphosa II morphed into Ramaphosa III and left politics. Some reports say he was taken out of the way to avoid becoming a nuisance for Thabo Mbeki and deployed in the private sector where, thanks to his high-level political connections, he immediately attracted the interest of big business desperate to remain relevant in the new era by actively seeking and partnering with high-profile political leaders. One of the key strengths sought by big business was the ability to dial directly into the presidency and influence political decisions. Those who betted on Ramaphosa III never went wrong in that regard. Over subsequent years, Ramaphosa III the businessman amassed massive personal wealth through a combination of directorships in blue chip companies, the acquisition of shares in existing white businesses across several sectors, and through winning lucrative government business and other commissions. He also used his newly-acquired status to open up opportunities by empowering hundreds of previously marginalised South Africans through skills and small business development initiatives linked to his businesses. When, in 2014, Jacob Zuma recalled Ramaphosa from the private sector to make him his deputy, the latter did not hesitate to accept the invitation. He probably saw this as his chance to resume a political trajectory that began in the 1980s and was disrupted in the mid-1990s. At the time, Zuma’s reputational fortunes were fast dwindling; he needed a credible face with strong appeal within the ANC and across broader South African society, especially one that would assure big business that the ANC under Zuma would also have its interests at heart. Ramaphosa IV became that stabilising face, but only for a little while. Even he probably underestimated the tsunami that Zuma would become to everything Ramaphosa I and II, as well as many others, had sacrificed so much for. Constitutionally helpless and, apparently, biding his time, Ramaphosa IV watched as the much-fêted Constitution, Bill of Rights, the country’s carefully established democratic institutions and the rule of law were being pissed upon in broad daylight by the people he worked with. Many South Africans were left appalled, powerless, even fearful – some even began considering fleeing the country of their birth – as the man they had hoped would bring order into the madhouse seemed complicit by his silence. In the meantime, the country’s once glittering post-apartheid image shed massive reputational fortunes at home and abroad. As a result tax revenue collection, which used to surpass set targets, has dropped by a reported R50bn and possibly more. Investors are also weary of making long-term decisions in the absence of clear political and economic policy, especially in a climate where the people who helped Zuma bring the country and its key institutions to their knees remain in key positions of influence in government and state-owned enterprises. Will he remember Ramaphosa I and II and place the country he once gave so much for, ahead of the political party he now leads – or will he finish the destruction begun by Zuma? Will Ramaphosa V be the one to bury the African National Congress in its current form – if it cannot be saved – so that South Africa can breathe again?